Reaching (H.T.) is an image of a wrestler stretching on a mat. The artist spent several months profiling American high school and collegiate wrestling teams, investigating their activities, maneuvers and rituals that evoke a somewhat nostalgic sense of masculinity. 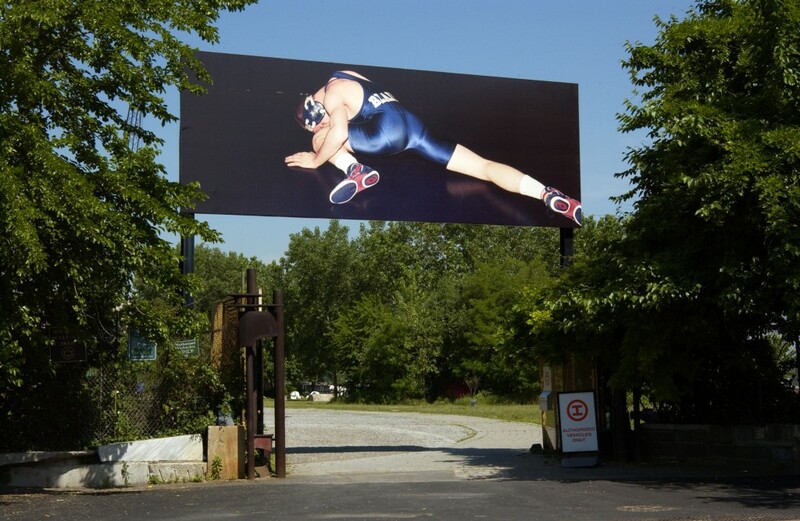 The image is printed on a 10′ x 28′ seamless vinyl billboard.